Harun & Najmins “I want a Fairy tale wedding,” are the exact words our bride used to describe her stunning wedding at Hilton Syon Park. One of the most impressive surroundings to create perfect memories. 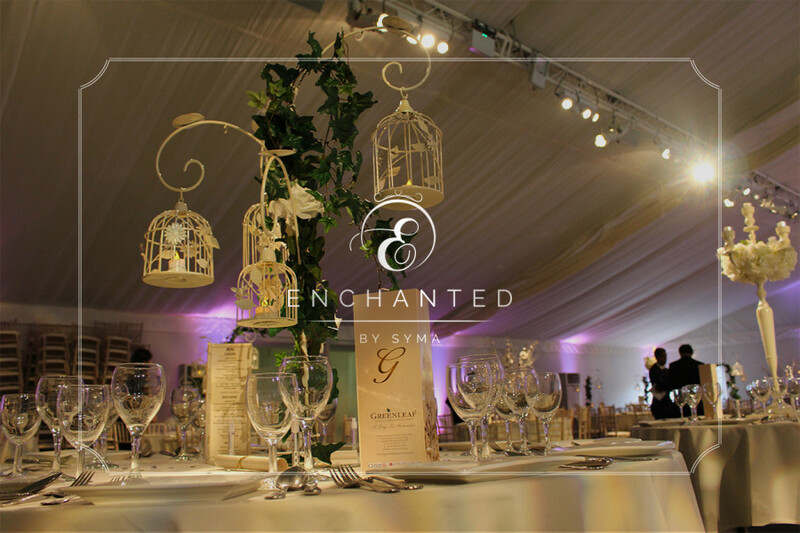 Enchanted, left no shortfall in presenting striking decor for our couples special day. The room was filled with fine bespoke centerpieces such as hurricane Birdcage statement piece with Ivy. Other centerpieces used were ivory tall candelabras with hydrangeas, Trees with blossom and lanterns which created a beautiful ambiance within the venue and finally for the top table the bride and groom chose crystal umbrellas with bauble tea lights. 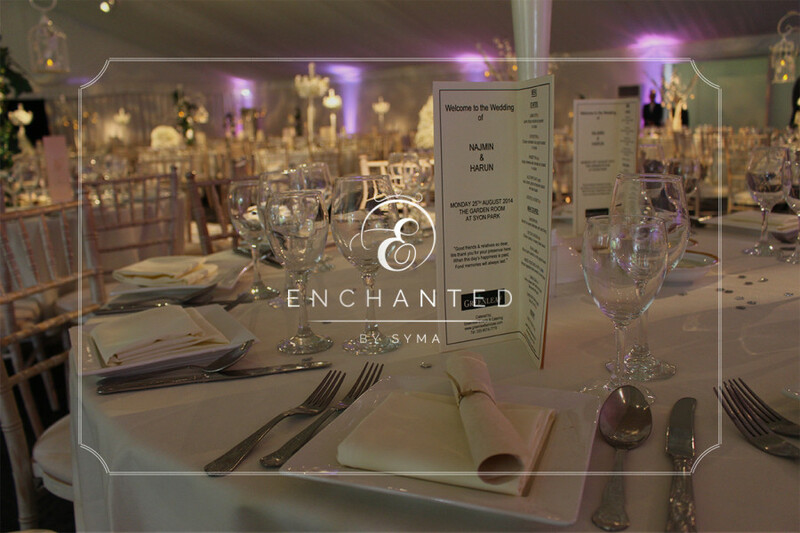 Everything tied in well together, including the table setting, which was created using divine cutlery, crockery & Glassware followed by delicious catering and impressive service by Green Leaf. They served some unique canape items, leaving guests wanting more. After guests were seated they were served a 3 course meal, ending with a trio dessert including cheesecake. 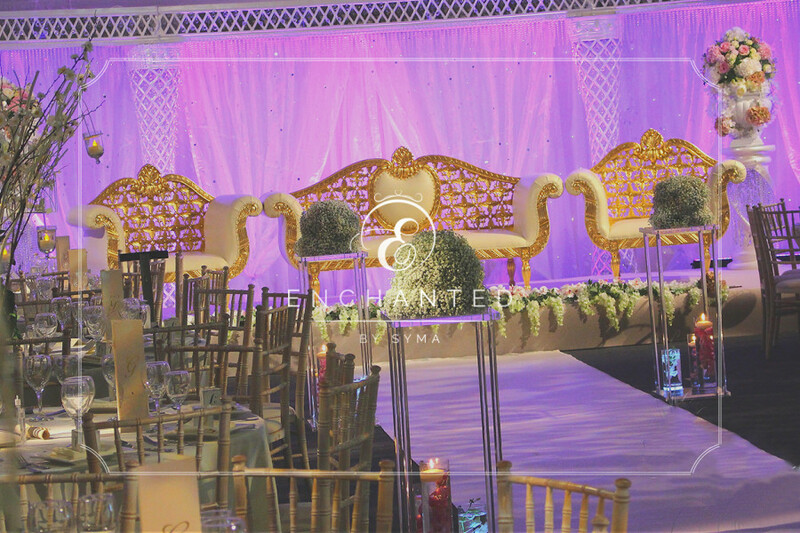 The walkway was embraced with acrylic pillars, vases with water, flowers and candles and to complete the look had a Gypsopila arrangement on top. 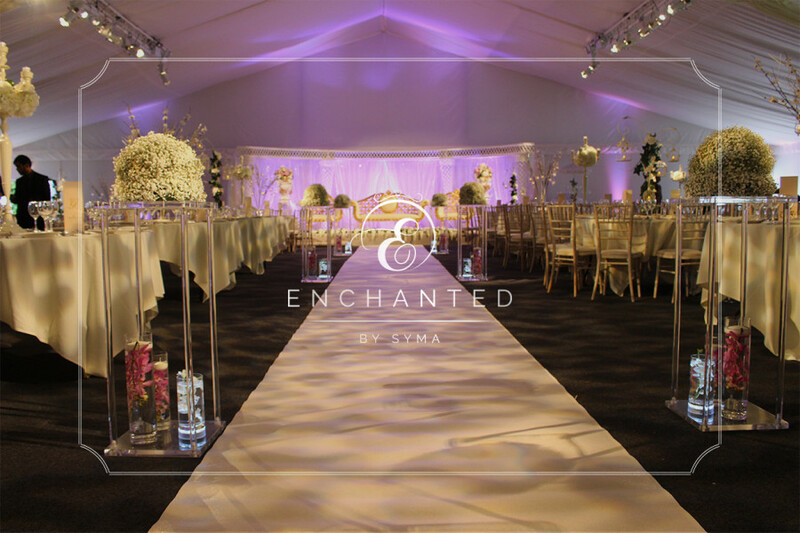 This set a perfect entrance for the bride and groom for their lead up to the main focal stage where they sat together as newly weds. 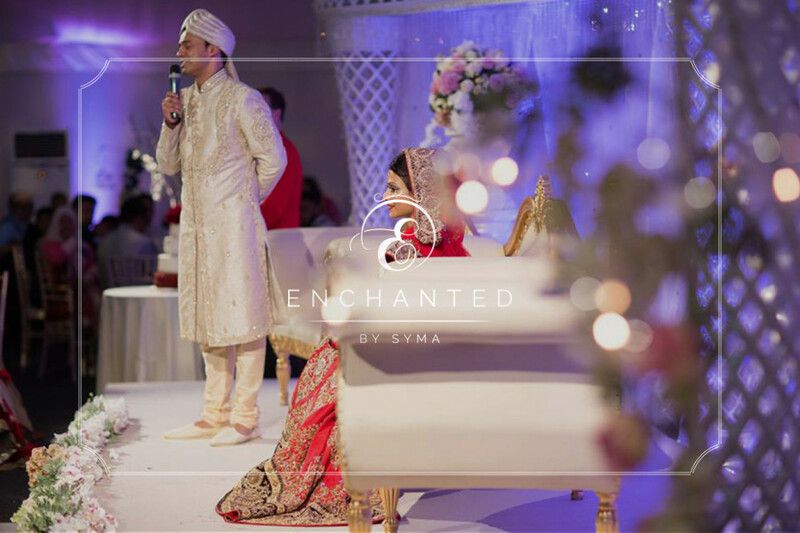 The atmosphere was magical as the family and guests shared the happiness of the beautiful couple. May they have more fairy tale moments.